As the owner of a commercial property, you are in possession of a lot of keys. One to open the main door, another to open an internal door, another set of keys for a different property, and the list goes on. Having so many keys can be a major inconvenience. At Amboy Locksmith, we are the solution to this major inconvenience. Our master key systems service in Staten Island will allow the use of one key to access all doors and locks. But our master key systems have various options. One may better suit your needs than the other. Below is an explanation of the options but don’t go it alone. Call us today for a consultation and we’ll help you decided which option might work best. 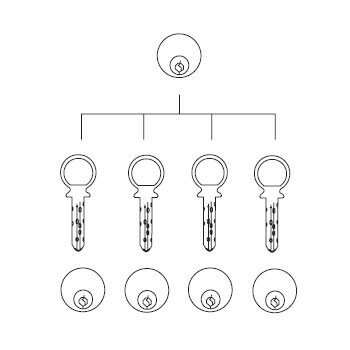 In a Master Keyed system, a master key opens all the locks in the system while each lock has its own unique key. 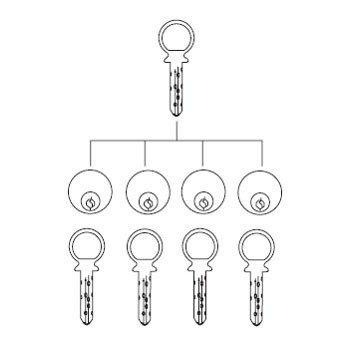 This permits organizing master key systems along departmental or other functional lines in order to allow supervisory or emergency access. All locks in the set are opened by the same key. 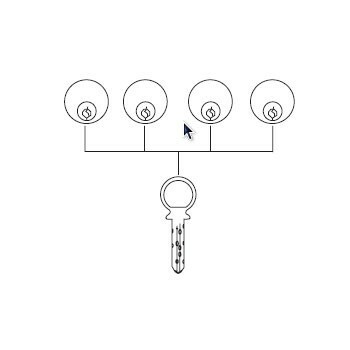 This option provides “same key” convenience and eliminates the need for multiple keys where numerous locks are used. 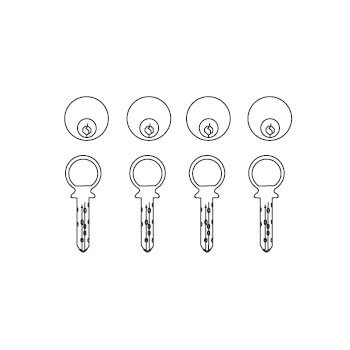 In some cases the customer can select a key code for the keyed alike locks and key. The maison lock is specifically design to be opened by every keys within the system which is why it is great for common areas. If you are not sure which on you want or which one with function best for your situation call us and we’ll but our expertise to work for you. We’ll help you live with simplified organization!